Singapore uniquely blends various cultures such as Malay, Chinese, Indian and the Western. People visiting Singapore consider it among Asia's cleanest cities with a fascinating cultural experience. The first-time visitors would be surprised by the energy levels demonstrated by the people of this city in their daily lives. The trains are never late, and there are hardly any traffic-related problems. Singapore is unpolluted, dust-free city that offers different types of mouth-watering cuisines and a pleasant, tropical climate. Who wouldn't love to be there? 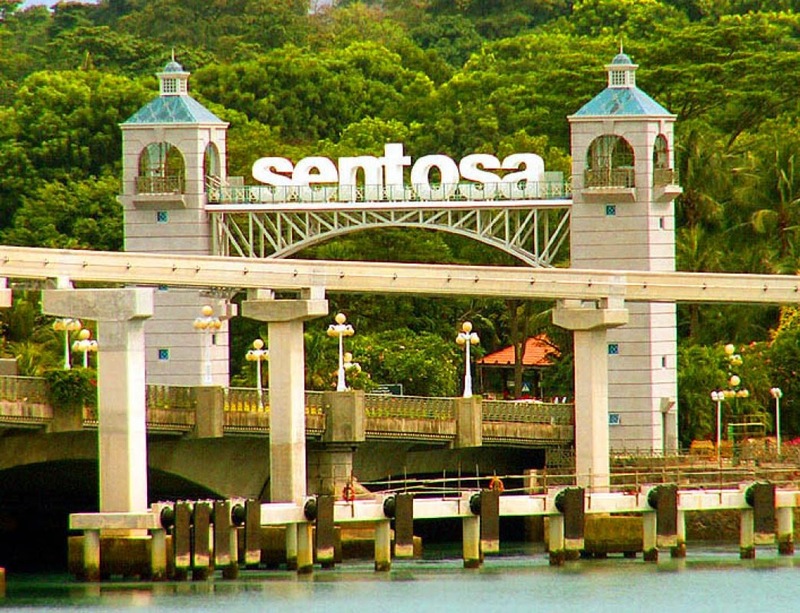 The most sought after destination in Singapore for accommodation is Sentosa Island. This island finds mention in the history of Singapore for having sheltered one thousand eight hundred fortresses. Today these historic buildings have been transformed into world-class holiday resorts. If you are an adventure enthusiast, you would definitely choose to stay here. The island has some truly marvelous attractions like the Universal Studio Theme Park on its northern front, followed by Megazip Adventure Park, Skyline Luge & Casino, a golf course and some cool beaches. If you are on a family vacation and want to experience Singapore Shopping while touring this part of the world, do not miss the Orchard Road. It is an elite area in Singapore, which was once full of nutmeg and pepper plantations. Today, it hosts some big shopping centers, bars, restaurants, and offers an enthralling night life. Those who wish to have an exciting nightlife never miss this opportunity in Singapore. If you are a traveler from India, you would definitely adore Little India in Singapore. You would love this place, as you can experience an Indian way of life in this particular region, with some Singaporean influences. People come here to buy spices and saris. If you are a religious person, do visit one of the oldest temples of Hindus in Singapore, known as 'Veeramkaliamman Temple'. It is dedicated to Goddess Kali, Lord Shiva's wife. It stands right in the center of Little India. If you wish to know in detail about the historic significance of the places you are visiting, you can hire a guide who can provide some valuable information about the different streets in Singapore and stories from the days of British Rule. The Merlion, a traditional creature with a head of a lion and body of a fish is often identified with Singapore. It is a mascot personifying Singapore. 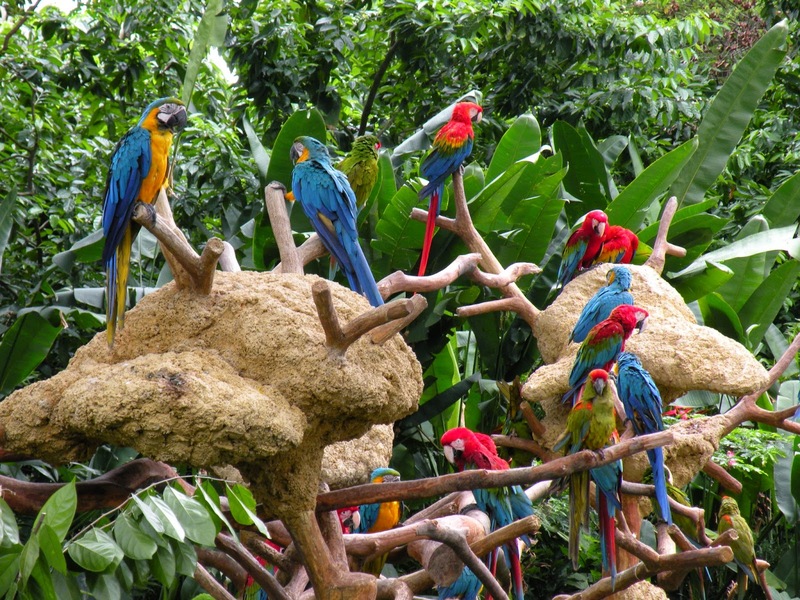 Jurong Bird Park an abode for thousands of birds can be explored by nature lovers and bird-watchers. They can also benefit from the monorail facility which takes them around the park.